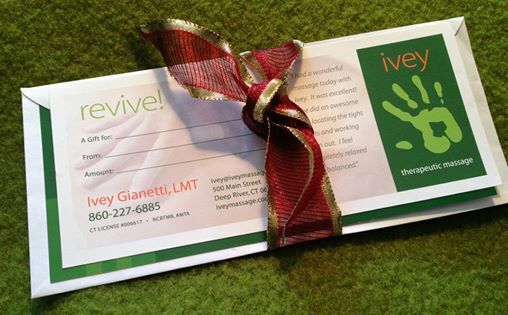 Our Massage Gift Certificates are a great way to share health and well-being with those you care about! Giving a Massage Gift Certificate is also an excellent way to say, “Thank you” to employees, business associates, and clients! Check our Special Offers page for periodic discounts! To order, please call 860-227-6885. They are available to pick up or we can mail them to you.